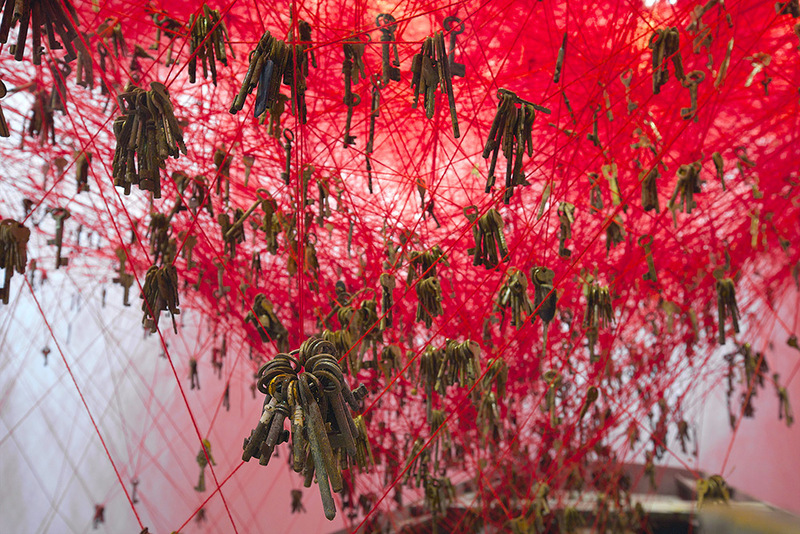 You are here: Home / All Posts / Installation Artist Chiharu Shiota’s Tangled Web of Keys at the 2015 Venice Art Biennale! 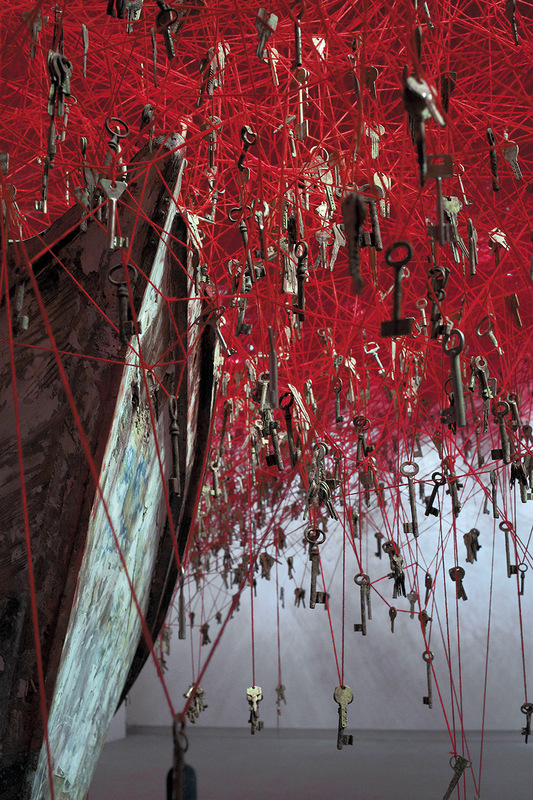 The Key in the Hand by artist Chiharu Shiota. Photo by Sunhi Mang. 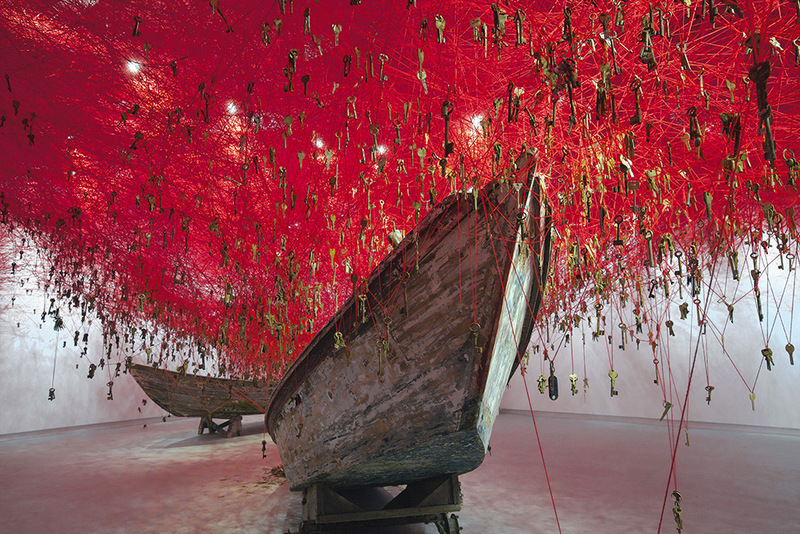 “The 2015 Venice Art Biennale is home to Chiharu Shiota‘s ‘The Key in the Hand,’ an elaborate entanglement of red wool and keys that dangle above two ancient looking boats. 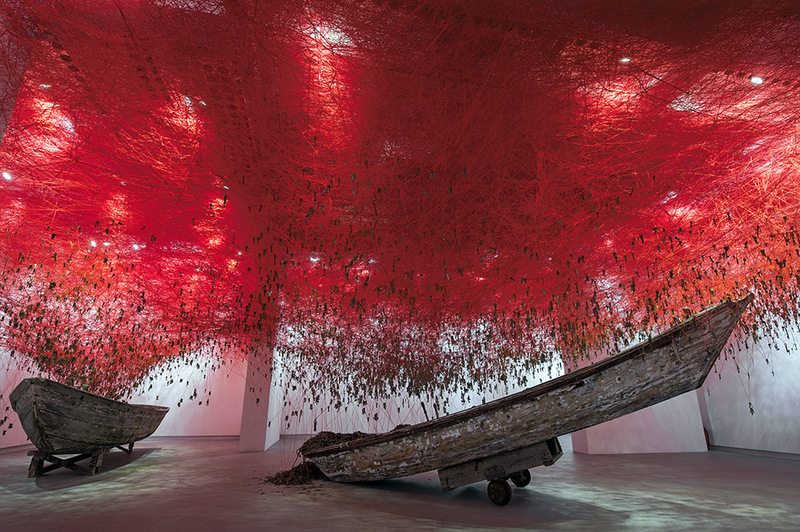 Living within the biennale’s Japan pavilion, the installation nearly blocks out the ceiling with its mass of crossing strings and includes a collection of more than 50,000 keys. I certainly wish I could see this installation in person. It looks to be both overwhelming, and humbling at the same time. 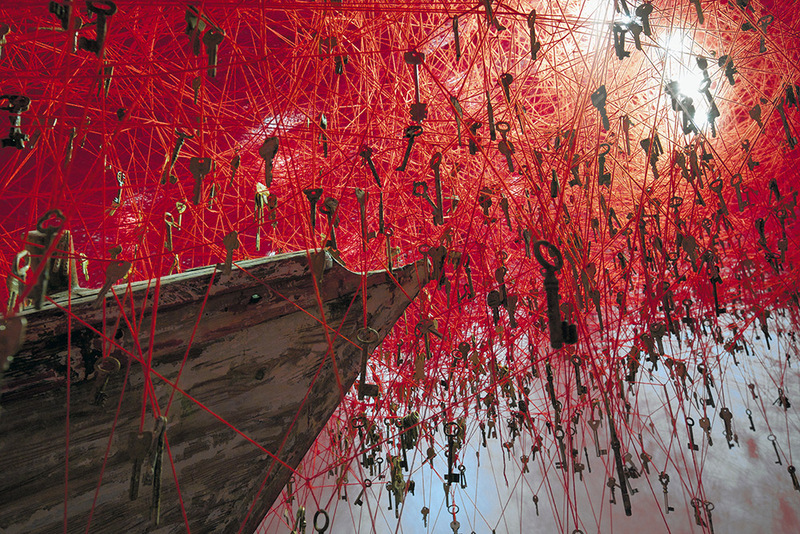 The idea of 50, 000 keys, each hanging there with the ghost of a story haunting them. As if they wish they could tell their stories, but just can’t. If anyone reading this post has, indeed, seen this art installation in person, please leave a comment about the experience. I’d love to hear an in-person retelling of the experience. Also, I’d be remiss if I didn’t mention the quality of the photos. Sunhi Mang, your photos of this installation are fabulous! « A Real Throwback: American Contemporary Painter Michael Carson!